M.A.C. gives you the tools to be a real Wonder Woman, Bliss helps guys get cleaned up and IronFlower Fitness turns up the heat with Salsa. 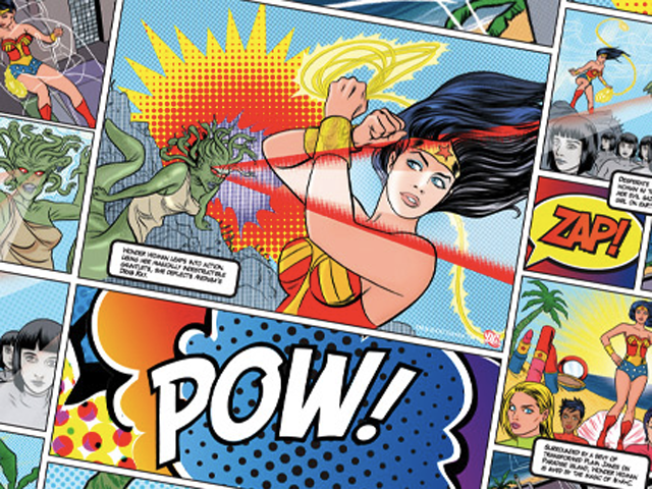 BEAUTY: M.A.C’s latest collection, the Wonder Woman collection, isn’t just good; it’s super. Make that super-hero good. Decked out in red, blue and gold packaging, this throwback to your Underoo days lets you be a kid again while giving your makeup routine a sophisticated edge. The new collection includes a super-sized Mineralize Skinfinsh ($35), Opulash mascara ($15) in cool shades of purple, green and blue, oversized Lipglass ($20) in a red hue named after the super hero herself, bold Eye Shadow quads ($40) in Defiance, Valiant and Lady Justice, even red Nail Lacquer ($15) in Obey Me.Fighting crime with a golden lasso might not be your day job, but at least you’ll be ready to face the day after applying this war paint. GET IT:Now through mid April. M.A.C. at 1107 Lincoln Road, Miami Beach; 305.538.1088. SPA: These days, being a smooth operator is, well, getting a little more literal. Whether you call it manscaping or manpering—guys, both metro or macho, are getting in on the grooming action. And Bliss is helping them clean up their act. The He-Wax, the latest service offered at the W Fort Lauderdale spa, is a hair-raising (and removing) experience for the men-folk. The service includes waxing from head-to-toe, not to mention everything in between. So, put down the razor and get over to Bliss for Poetic stripless waxing at its finest. Choose from the “Basic Brief He-Wax” ($35) for a little off the top and sides, “Between the Cheeks” ($40), where the name says it all, or go for the full monty with the “Ultimate He Wax” ($120). The spa promises it won’t be anything like that scene in The 40 Year Old Virgin, and there are even Powerbars to help you refuel after you’ve smoothed things out. GET IT: At W Fort Lauderdale, 401 North Fort Lauderdale Beach Blvd., Fort Lauderdale, 877.862.5477. GYM: You’ve watched season after season of Dancing With the Stars. You’ve pictured yourself in the blinged out micro-minis and tan T-strapped dancer shoes. And you may or may not have given the dancer tan a go-go. What you haven’t tried is getting your dance on. Shake and shimmy over to IronFlower Fitness, where every Tuesday and Thursday night, the Salsa community gets things moving. At 8 p.m. beginners get to shake their thang, while the more experienced intermediate dancers move to the music at 9 p.m.The first class is free for everyone, and, for a limited time, IronFlower is offering 50 percent off Salsa packagesfor men and women. In just a few weeks time, you’ll be giving Bristol Palin a run for her money. GET IT:7300 Biscyane Blvd., Miami; 305.640.5270.